As online marketing becomes a central component to your marketing plan, adding a level of Cyber Security is becoming an essential method to ensuring the safety and security of your company’s information, data, and overall strategy. Cyber security is the protection of computer systems from any virus or malware that intends to corrupt files or steal information. Reactive Security: In this approach to cyber security, attempts of theft or damage of hardware are dealt with as they appear. Antivirus software, a popular strategy in reactive security, is often utilized to prevent, detect, and remove malicious software. Including this software on your computers and hardware is an easy way to ensure that all personal and sensitive information remains undisclosed. Proactive Security: This second approach embraces Security by Design to deal with the problem before it arises. Threat Modeling is utilized under this strategy, and seeks potential problems and weaknesses, allowing your technicians and cyber security professionals to eliminate any threat before it arises, guaranteeing the safety of both your and your company’s personal information. 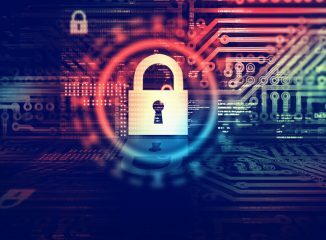 To ensure the safety of your computers and the information stored on them, make sure that your marketing or IT department has taken preventative actions.